The Unimog U423 with friction road-rail guidance system makes it possible to travel and work on tracks requiring SNCF approval, in particular by preventing contact of the tyre with the rail. 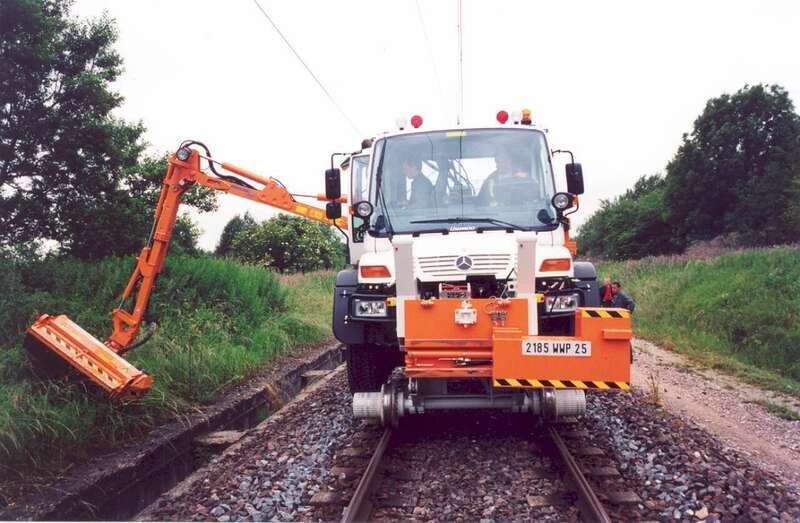 Developed by our design office and validated by SNCF approval departments, the CMAR Unimog friction road-rail makes it possible to use tools for railway track work (verge cutter brush cutter, crane, cherry picker, cable winder), but also for snow clearance work (blade, V-blade, snow cutter). Several missions can therefore be carried out by a single vehicle in all seasons. Furthermore Unimogs legendary strength guarantees its users a return on investment and a long service life on the rails.